https://atlanta.bintheredumpthatusa.com/dumpster-rental-newnan	Bin There Dump That Atlanta	https://atlanta.bintheredumpthatusa.com/img/franchisees/6.jpg	, Atlanta, GA	Contact us for more details. Discover how we make renting a dumpster in Newnan, GA a simple and easy process. Bin There Dump That is committed to making the dumpster rental process for the customer a seamless transaction, from placing an order for the needed dumpster size to delivery of the waste container in Newnan to an immediate pick up when you no longer need the bin on your driveway. How long will my rental dumpster take to deliver? 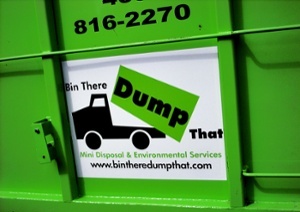 At Bin There Dump That, we deliver it when you need it! If you need your dumpster tomorrow, we deliver in 24 hours or less. If you need your dumpster in 3 weeks, we will deliver it in 3 weeks. If you rent a dumpster from Bin There Dump That, you can expect it in 24 hours or less! When you are done with the dumpster, be sure to give our Dumpster Consultants a call so we can pick up in 24 hours or less! As fast as your dumpster gets there, we are right back in order to pick up and relieve you of your dumpster. Book now in order to secure your dumpster. If you are a sports fan, you may be a fan of Newnan, GA, too! The little town of around 33,000 people has been home to more than a few notable athletes! Karsten Bailey (former wide receiver with Seattle Seahawks and Green Bay Packers), Cam Bedrosian (Pitcher for the Los Angeles Angels), Keith Brooking (former linebacker with GA Tech, Atlanta Falcons, Dallas Cowboys), Steve Bedrosian (MLB pitcher), Drew Hill (former receiver for the Los Angeles Rams and Atlanta Falcons), Calvin Johnson (former All-Pro NFL wide receiver with the Detroit Lions), John Keith (NFL), Will Lutz (Kicker for the New Orleans Saints), Warren Newson (MLB with Chicago White Sox and Texas Rangers), Alec Ogletree (linebacker with the Los Angeles Rams), and Will Smith (MLB pitcher for the San Francisco Giants)! Just to name a few! Also, you cannot write about the town of Newnan without mentioning the Country music Hall of Famer, Alan Jackson, who calls Newnan his hometown. Newnan has also been the set for several movies and television series. Shows like October Road, I’ll Fly Away and (the very popular) The Walking Dead have been shot in the city, including at Newnan High School and Sonrise Baptist Church. The thriving city was established as county seat of Coweta County in 1828 and was named after General Daniel Newnan. It is the heart of Coweta County and is about 40 miles from downtown Atlanta. The Coweta County School district employs over 1,160 full time teachers to teach the almost 19,000 students. The county has a total of 28 schools, ranging from Pre-K to 12th grade. Mercer University has an academic center is Newnan which opened in 2010. The University of West Georgia also has a campus in Newnan, near downtown. The campus currently offers two undergrad programs. Bachelor of Science in Nursing and Early Childhood Education. The zip codes for Newnan are 30263, 30264, 30265, and if your address falls in these zip codes, you’re in luck! Bin There Dump That services them all! Your local Dumpster Rental Experts Newnan dumpster rental operator is Kurt Anderson.